When Mushu's world, The Land of Dragons is destroyed by darkness, he survives as the Summon Gem, Fireglow. This gem is acquired after Maleficent's defeat in Hollow Bastion. When brought to the Fairy Godmother in Traverse Town, the gem can be activated, enabling Mushu to assist Sora in battle. When summoned, Mushu shoots a continuous stream of fireballs at enemies. His special attack "Fire Breath" can deal massive damage. Originally one of the Fa family guardians, the minuscule Mushu is demoted to the lowly job of a gong ringer due to his careless and foolish behavior. In order to get into the Fa family spirits' good graces, Mushu has taken upon himself to become Mulan's guardian during her journey, but often proves to be more of a hindrance than help due to his inept advice. Mushu begins to feel the weight of his worthlessness however when he accidentally lures Sora's team into a trap, a distraction orchestrated by Shan Yu to give himself free reign over the mountain village. Mushu is used by Mulan as a last minute replacement for a matchstick during her attempt to trigger an avalanche using a cannon. In a fit of rage, Mushu lets slip "Ping's" true identity, dealing a final blow to his chances of regaining honor for himself. 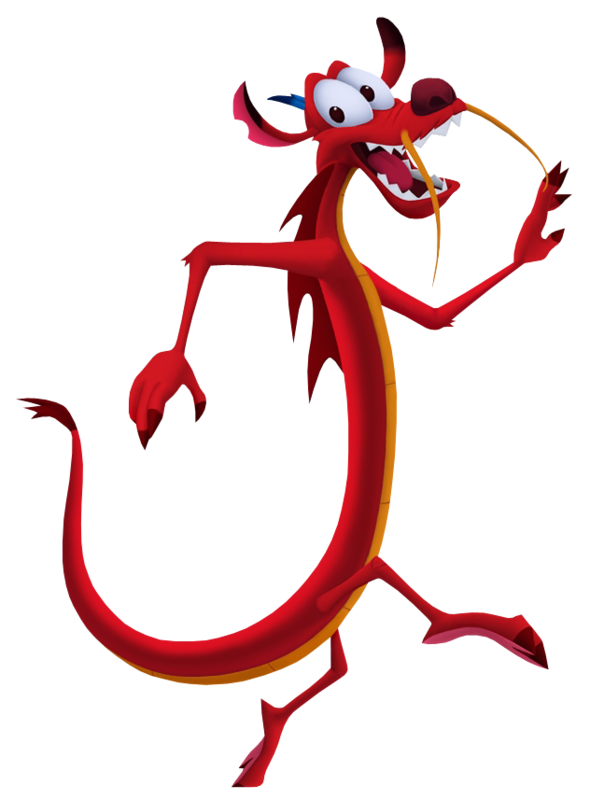 Although Mushu has self-centered motivations, he remains loyal to Mulan till the end, lending his fire-breathing powers to the team and playing a minor part in saving China.